Yes, British born, Aussie bred Helena has laid claim this week to being the first female DJ/Producer to ever hit the No.1 spot on the ARIA club chart. And to think… it’s only taken us 2012 years to get there! Her single ‘Girl From The Sky’ hit the top spot this week, moving up from No.4 last week and with such a big claim to fame, there’s expected to be a bit of interest in the track when it’s officially serviced to media next week. Hot cover too! 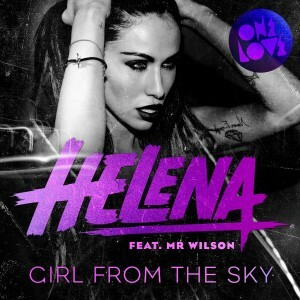 ‘Girl From The Sky’ is available digitally now.